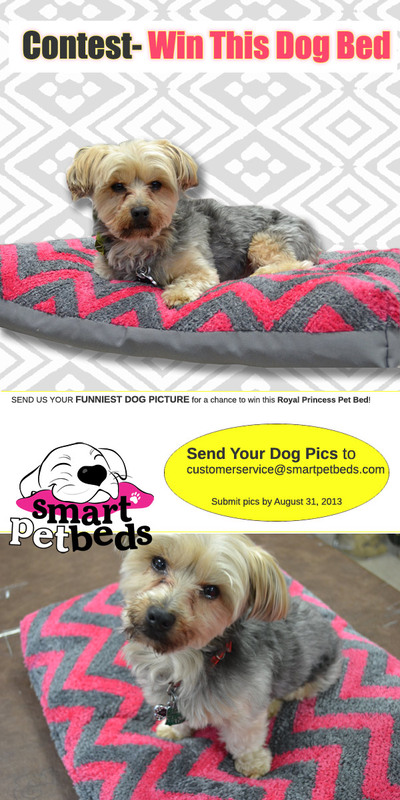 Smart Pet Beds: Win This Dog Bed Contest !!!! Win This Dog Bed Contest !!!! Send us your FUNNIEST DOG PICTURE for a chance to win this beautiful Royal Princess Dog Bed for your super awesome dog! Just send your photo to customerservice@smartpetbeds.com with your name, address, and dog's name! Just be sure to send us your photographs by September 31, 2013!!!! And be sure to LIKE us on facebook!!!!! nice blog. I would like to say tha dog beds really good for pets, you give me best information!